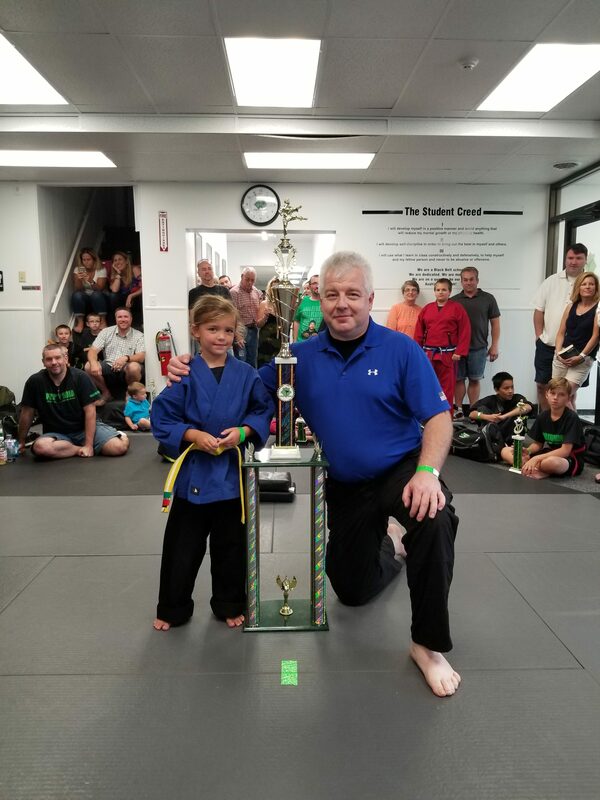 Members of Datu’s Tribe (New York) participated in the Emma J. Patterson Invitational Tournament at Pride Martial Arts Academy (Clarence, NY) on Saturday, July 22, 2017. 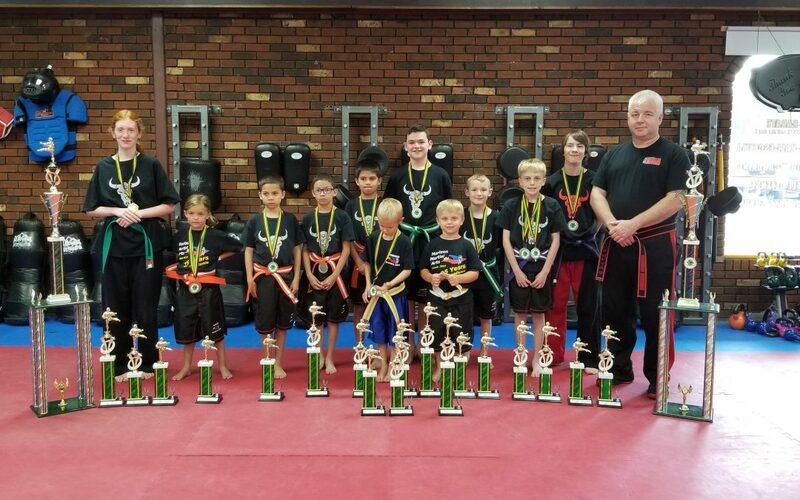 For this event, our team ranged in age from 5 to 15+ years old and included Little Ninjas, Beginner and Advanced Dragons, a Jr. Black Belt, and Datu Hartman. 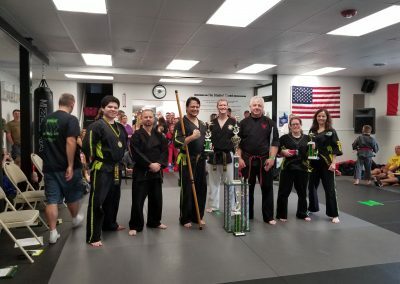 The tournament offered events in Punch/Kick Combos, Flag Sparring, Point Sparring, Traditional Forms and Weapon Forms. 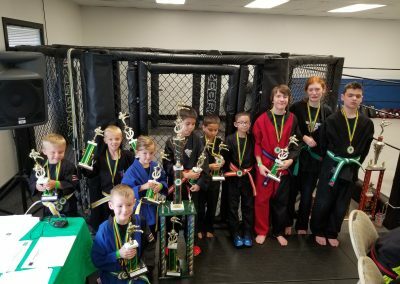 Each team member had the opportunity to compete in several events in different divisions and every one of them brought home multiple trophies and medals. Although this was not the first competition for our students, it was the first invitational tournament as Datu’s Tribe where they had to compete against students from other schools. The team brought home a total of 16 Medals, 7 – 3rd Place trophies, 9 – 2nd Place trophies, 4 – 1st Place trophies, and 2 Grand Champion trophies. We are very proud of our team’s performance and look forward to watching them further grow and develop their skills before the next tournament. Ryan S., earned 2nd Place in Weapon Forms, 3rd Place in Point Sparring and a Medal in Hand Forms. Stephanie T., earned 3rd Place in Weapon Forms and a Medal in Hand Forms. Daniel T., earned 1st Place in Weapon Forms, 2nd Place in Point Sparring and a Medal in Hand Forms. 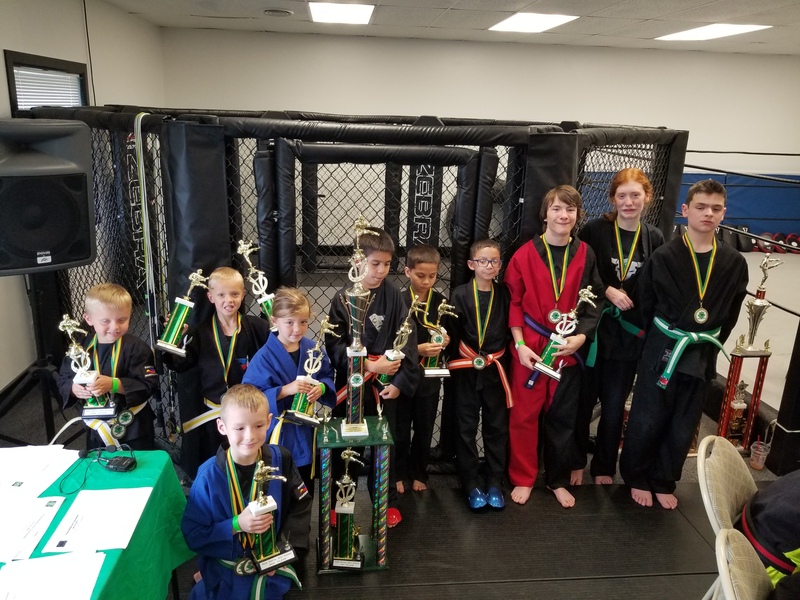 Dylan C., earned 2nd Place in Kick/Punch, 2nd Place in Flag Sparring, Medals in Point Sparring, Hand Forms and Weapon Forms. Tyler S., earned 3rd Place in Weapon Forms, 3rd Place in Point Sparring, Medals in Hand Forms and Flag Sparring. Aaron L., earned 1st Place in Point Sparring and a Medal in Flag Sparring. Nicholas L., earned 2nd Place in Flag Sparring and a Medal in Point Sparring. 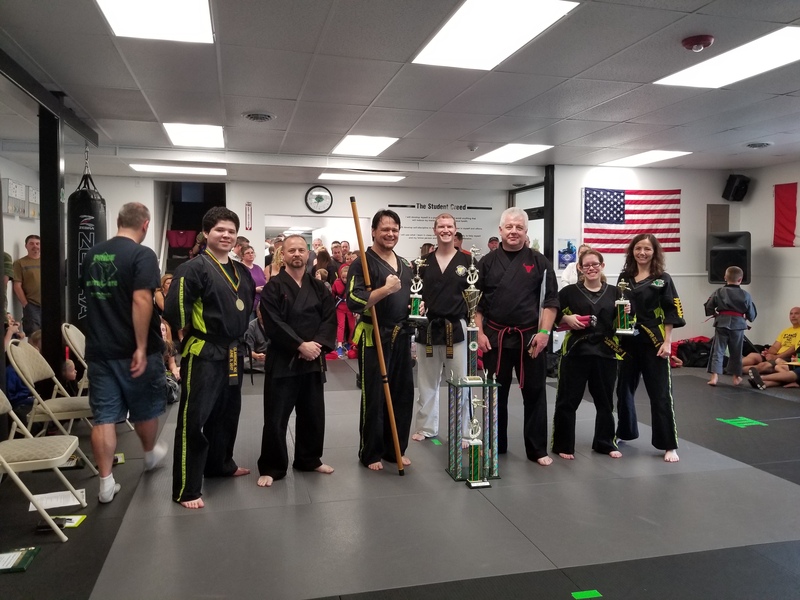 Patrick L., earned 3rd Place in Weapon Forms and a Medal in Flag Sparring. 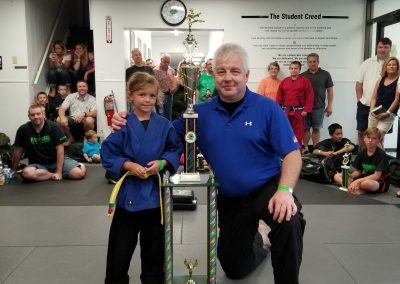 Shaiya E., earned 1st Place and Grand Champion in Kick/Punch, 2nd Place in Weapon Forms, 3rd Place in Point Sparring, Medals in Flag Sparring and Hand Forms. Giovanni C., earned 2nd Place in Kick/Punch, Medals in Flag Sparring and Hand Forms. Trevor P., earned 2nd Place in Flag Sparring, 3rd Place in Kick/Punch and a Medal in Hand Forms. Datu Hartman, earned 1st Place and Grand Champion in Weapon Forms and 2nd Place in Hand Forms.